Cult Cinema Catacombs: These Films Exist! Welcome to season two of Cult Cinema Catacombs, and quite possibly the most fun we ever had reviewing a film. We review the rarely seen KISS MEETS THE PHANTOM OF THE PARK, shot at Six Flags Magic Mountain. Produced by Hanna Barbera, this is basically the film equivalent to Stefan describing a film from the 70's. 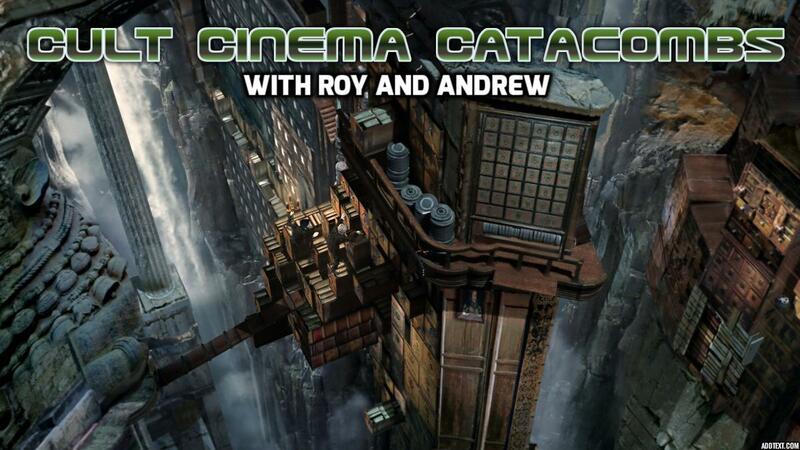 Join your hosts Roy Buckingham and Andrew Farmer live from All-Con, one of the best fan cons out there, as they discuss the fact that they have now already reached 12 episodes and announce the next film. Join Andrew and Roy as they take a trip to Australia, land of poisonous...ants(? ), as they discuss the mystery and enigma that is PICNIC AT HANGING ROCK. Once of the most infamous Hallmark Movies in history, we discuss (in what is our longest episode to date) how this film made us feel, if it deserves to be watched by others, and the questionable acting choices in this film. Before joining this show, host Roy Buckingham hosted another podcast called Sassycast. This cult hit was filled with laughs and sass, and this was the most famous episode of the entire series: A dramatic reading of a Chuck Tingle story. who knows, maybe this show may come back in the future. Enjoy! It's our November episode, and the Thanksgiving Turkey is actually a kangaroo in this 1977 Australian box office/cable TV hit that spawn eight GOD DAMNED SEQUELS AND A TV SERIES?!?!?! We look at the 1969 film The Gay Deceivers, a film that inspired a famous Vine meme, and wonder what is the point of this film exactly. One of the most notorious "video nasties" of all time. This film stars Clint Howard as a picked on student who discovers how to conduct a santanic black mass on his Apple II computer. A perfect product of the Satanic panic of the 80's and personally endorsed by Church of Satan founder Anton LaVey himself, this film probably will go down as one of our personal favorites we have reviewed so far.